Haiti is an island state on the west side of the Caribbean island of Hispaniola. The climate is subtropical/tropical. Hurricanes often occur in the months of June to September. These result in severe flooding. Haiti also lies in an earthquake zone. On January 12, 2010, Haiti was struck by a major earthquake of magnitude 7.0 on the Richter scale, which more or less completely destroyed the infrastructure of the country and many towns, including the capital Port-au-Prince. Even before the shock, Haiti was one of the poorest countries in the world. Violation of children's rights was commonplace. Thus, around only half of the children attended elementary school, and child labor was widespread. Many children and adolescents experienced physical violence at school and in their parental home. The earthquake has only made this situation worse, also in the area of education. Education plays an essential role in helping children and adolescents overcome the difficulties resulting from a disaster of this scale. It is therefore extremely important for girls and boys to be able to return to school as soon as possible. Schools provide a secure environment for children and give them a sense of normality. They therefore make a huge contribution towards helping children process traumatic events. Assisted by Arthrex and the RTL Foundation, Plan rebuilt two schools in the Plan program area of Croix-des-Bouquets and equipped them with suitable facilities for children. This benefited around 1,200 boys and girls in two elementary schools in Croix-des-Bouquets, as well as two headmasters and 20 teachers. The aim was to give as many children as possible the opportunity to return to school quickly after the earthquake. • Two elementary schools were rebuilt. One new school consists of three buildings, each with two classrooms providing space for up to 50 children. • Child-friendly sanitary facilities with separate male and female restrooms ensure a hygienic environment and provide sufficient privacy. • Teachers and children were provided with a starter kit containing the essential materials (e.g., notebooks and pens). • Efforts were made to integrate the schools into a Plan library project. • A committee consisting of parents, children and young persons received instruction so they could be involved in the construction work. • Parent-teacher associations are promoted and receive training on how school management can be organized with the involvement of the parents. The project ran from July 2010 to August 2011 and was set up thanks to the support of Arthrex and the RTL Foundation, who funded the project activities by donating 200.000,00 Euro (100.000,00 Euro from Arthrex – 100.000,00 Euro from the RTL Foundation). 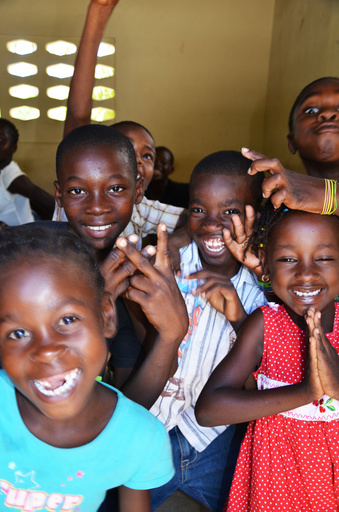 The project initiative by Plan led to the reconstruction of two schools in Croix-des-Bouquets. This meant that children living in the area were able to return to school soon after the earthquake.